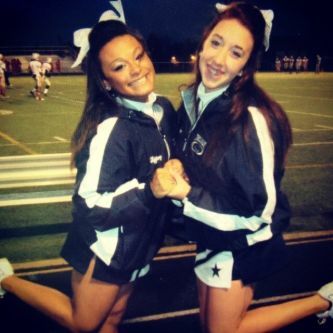 O n September 4, 2013 in Erie, PA we lost a cheerleader to epilepsy. 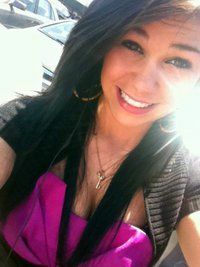 Alyssa O'Neill was a college freshman at Penn State Behrend. The night Alyssa passed away, she was supposed to get a Pumpkin Spice Latte the next morning from Starbucks. Alyssa's parents wanted to remember their daughter's kindness and started "Pay it Forward" in her memory. 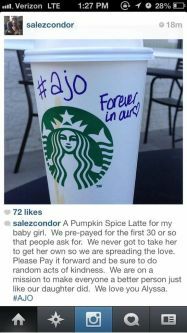 Now when you go into any Starbucks, you can Pay it Forward by paying for the next person's Pumpkin Spice Latte (PSL). What a warm and giving way to remember Alyssa! Cheer for a Cause supports "Paying it Forward" in her memory. 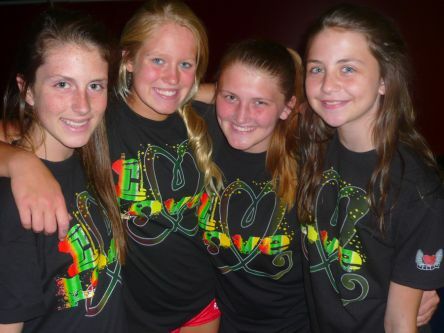 Read more about Alyssa, Pay it Forward, trending #AJO, Epilepsy Awareness and watch videos here. It's athletes like Alyssa who make us all proud! In response to several incidents of bullying this year, in which at least two resulted in the bullied victim taking their own life, CHEER FOR A CAUSE has launched a new Bully Free Zone campaign called "975 Saves Lives." The phrase '975 Saves Lives' refers to House bill 975; The Anti-Bullying and Harassment Act of 2011 which was introduced in Congress and sent to committee more than a year ago. Our VOICE WILL BE HEARD! Download your sign and upload a picture to twitter with the hashtag #975SavesLives and share on our facebook page at http://www.facebook.com/cheerforacause. Click this link to get your sign! Stay tuned all month as we share video and stories of athletes whose lives have been impacted by the affects of bullying. 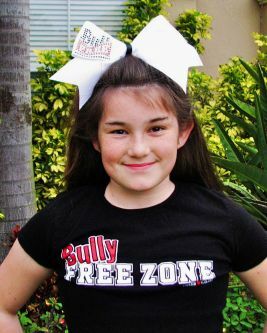 To proudly support the cause, get your "Bully FREE ZONE" shirt, anti-bullying bows, window decal or banner, at our web store here. To get the exclusive Bully FREE logo bow, visit www.justcheerbows.com. We're all on the same team in September as Cheer for a Cause joins Kraft Foods to fight hunger in America. The mission of Kraft Foods’ Huddle to Fight Hunger is to help donate 25 million meals to Feeding America®, the nation’s leading domestic hunger-relief organization, to help the more than 50 million Americans who live in food insecure households. 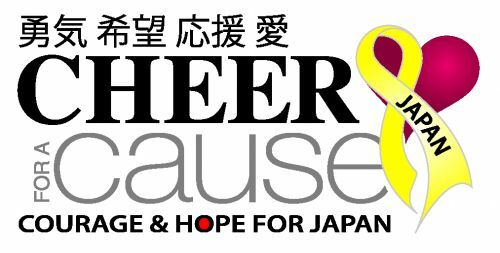 Cheer for a Cause is rallying athletes, coaches, parents and friends to support the cause by participating in an activity. Ideas include a food drive, facebook profile challenge or creating a cheer or chant in support of the cause! 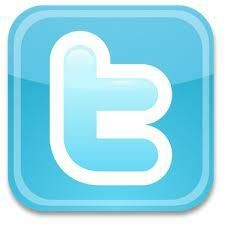 Visit this link to view a list of ideas! Everyone can also help Kraft Foods meet and exceed their 25 million national donation goal by visiting facebook.com/KraftFightHunger. For each person that “likes” Kraft Fight Hunger on Facebook, Kraft Foods will donate the monetary equivalent of one meal to Feeding America on behalf of his or her local Feeding America Food Bank. This is what we saw... and this is what we did! Join Cheer for a Cause to rebuild homes and lives through Habitat for Humanity. 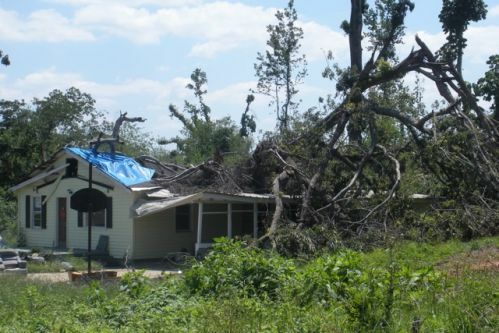 Click here to see pictures and find out more about how you can help. 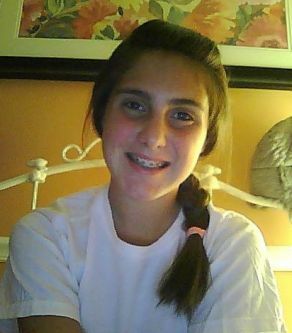 Alyssa needs your prayers & support! Join the heart of the cheer & dance world as a part of TEAM ALYSSA and pray for our daughter, sister, aunt, niece, cousin & friend...currently over 20,000 strong. WeCARE. 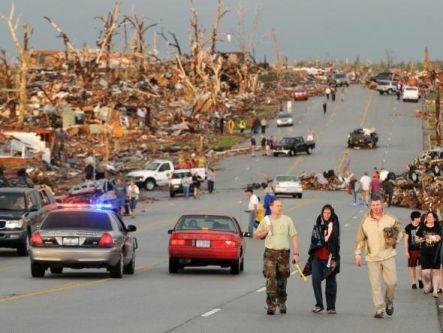 Athletes and coaches respond to tornadoes and floods in the U.S.
Help fund 1st cheer camps for our special needs athletes! Help us make their dreams come true! Our special athletes want to go to camp, just like all the other cheerleaders. 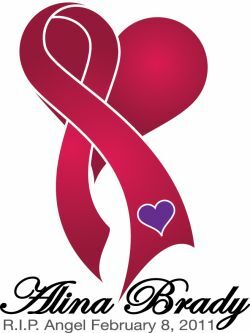 Join Cheer for a Cause and remember Alina Maria Brady by purchasing a shirt, bow, or making a donation. Click here to shop and here to donate. 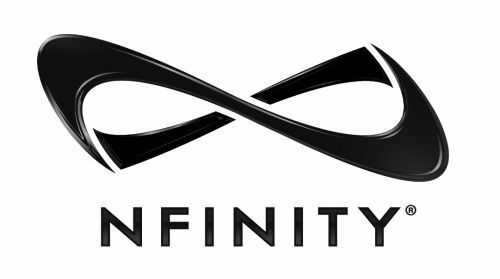 To join partners like Nfinity and help with this very special project, please email us. Be a part of the very first Cheer & Dance World Global Unity Project! 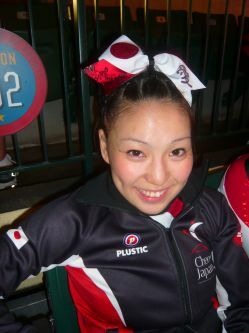 Support Japan's cheer & dance community and the people of Japan by purchasing products designed exclusively for the cause! Proceeds will benefit the Japanese Red Cross! STAY TUNED, our eBay auctions start soon. Click this link to make a world of difference. It's our Cheer Life! 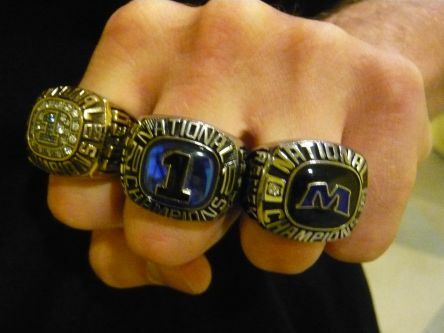 Athletes talk about their injuries and the support of their Cheer World family. Catherine Haley "Cat" (USA’s Planet Cheer Galaxy International Open Coed 5) and Rayna Marques (Canada’s Cheersport Great White Sharks & Team Canada) are passionate about cheer! We could tell you so much about these inspiring young women, but we'll let them tell you... Read what they have to say. There is simply no substitute for a healthy pain-free life for our athletes. Their safety is our greatest responsibility. Click here to meet David, Madison and Camille - amazing competitive cheer athletes who also have epilepsy and seizures. Patty needs our help... WeCARE. Patty will never walk or talk again. Three years ago, she was just 17 and her stunt group cradled her from a liberty. When they did, Patty was hit in the chest and her heart stopped. She went nearly 30 minutes without oxygen to her brain. 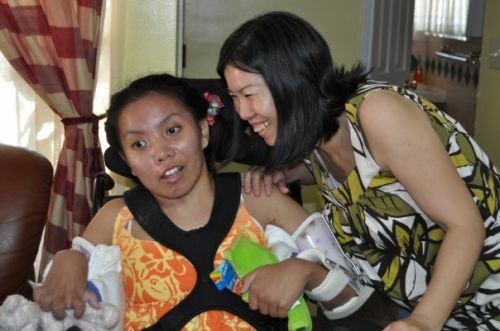 Click here to read about Cheer Safety Month, Patty's story and how we can help. Kenzy Blair shares a very special message of thanks to the Cheer & Dance World from CHEERSPORT in Atlanta, GA.
Read about the Midwest tragedy and find out how you can help here. At the 2011 AmeriCup Nationals in Minneapolis, event producer UPA will donate $1 from every athlete package sold and a percentage from gate receipts to the cause. For attendees and athletes that have a special heart for adoption, there will be an additional opportunity to donate! 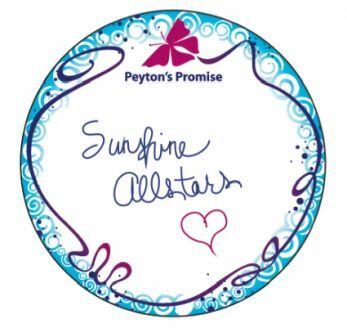 Each person that makes a donation will be able to sign a special sticky-note and have it placed on Peyton's Wall of Promise! Click here to read more and find out how you can help! 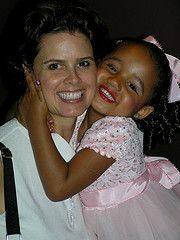 Click here to read her story and reach out to the Brady family and her Cheer Florida Allstars family. Love your heart... so you can win today & tomorrow! Did you know that more women die of heart disease than any other condition? Nfinity's Win With Heart™ in Partnership with The Heart Truth® Campaign aims to raise awareness among women of ways to reduce their risk of heart disease and stroke, and give them the tools they need to protect themselves. Click here to find out more. We're making an impact and unifying the giving and giving-back in our Spirit World! Click on the links below to watch video and read about what Cheer for a Cause has supported so far. Month 7. April 2011. Stories of Hope, Healing and Heart. Month 6. March 2011. Stories of Hope, Healing and Heart. Month 5. February 2011. Stories of Hope, Healing and Heart. Month 1. October 2010. Wear Purple Day, Anti-Bullying. To suggest a cause, volunteer your time or make a donation, please email us or select the link below. And click here to find out more about Cheer for a Cause.